It’s been less than a month since the scintillating end to the FISU Winter Universiade in Krasnoyarsk, Russia, yet focus has already shifted to the Summer Universiade in Napoli, Italy, which is now less than three months away. The Italian host city welcomed the heads of the national delegations of almost 50 countries in the traditional ‘Heads of Delegation Meeting’ which takes place three months prior to a Universiade, where representatives from the participating countries are able to meet, assess the state of the host city’s preparations, familiarise themselves with the environment and most importantly, visit a number of the accommodation, training and competition venues. The meeting took place from 1-4 April in Napoli, and at a reception hosted by FISU Americas on the eve of the meeting, FISU President Oleg Matytsin shared his thoughts on what promises to be a spectacular Games in the summer. "I believe Napoli 2019 will make a great contribution to university sport,” he said. “Italy is a beautiful, sunny country with fantastic culture, experience and knowledge. This year is also special because we are celebrating the 60th anniversary of the Universiade, which was organised for the first time in 1959 in Torino, Italy, and also the 70th anniversary of FISU itself. So it is a great responsibility on our collective shoulders, and I wish everyone great success." 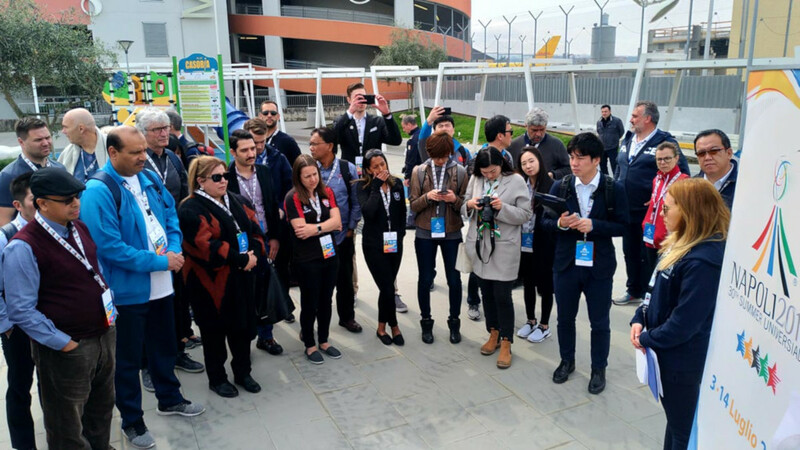 The following two days of the meeting were made up of site visits, as the heads of delegations were split into two groups and taken around Napoli to inspect the numerous facilities where the sports competitions will take place. The first day of venue visits had two route options: one covered the San Paolo stadium (athletics), Mostra D’Oltremare (diving and judo), Piscina Felice Scandone (swimming and water polo) and the Napoli Tennis Club, while the other half of the delegation representatives visited the Palacasoria (Taekwondo), Pala Vesuvio (gymnastics) and were introduced to the arrivals and departures management at the Capodichino Airport. Day two of the visits covered the historic Royal Palace Caserta (archery), Circolo Italia (sailing), PalaSele (volleyball) and Arechi Stadium (football), among others. The city of Napoli has made huge undertakings in preparing for the Universiade, spending 86 million Euros to renovate a total of 58 sports venues which include 34 competition venues and 24 training facilities. FISU First Vice-President and Chair of the Summer Universiade Supervision Committee Leonz Eder highlighted the overall satisfaction of the delegated, but noted some apprehension with less than 100 days to go until the start of the competition. 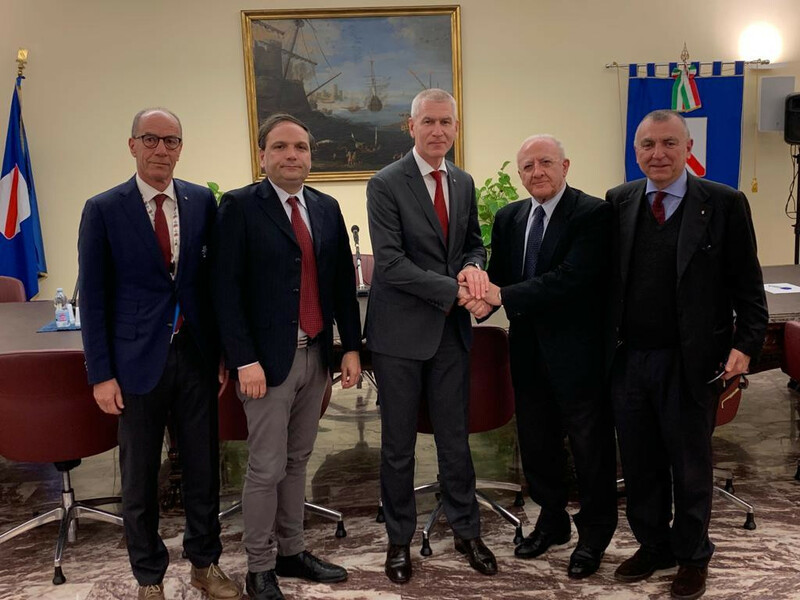 “The Heads of Delegations were very pleased to see the Campus of the University of Salerno in Fisciano with the excellent accommodation,” he said. 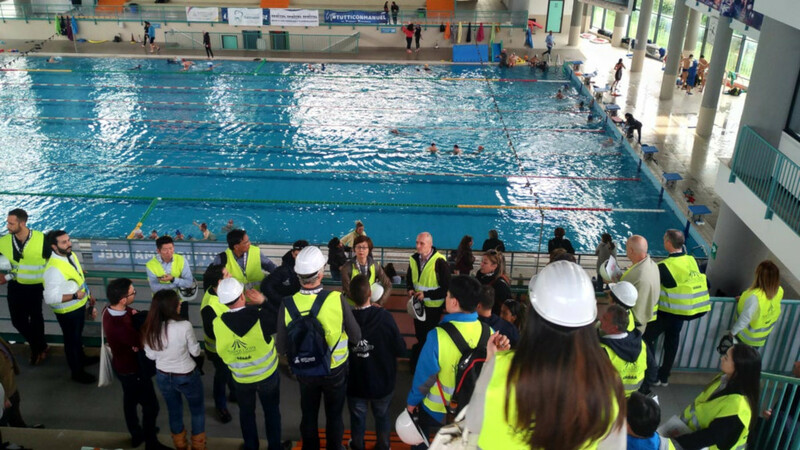 “They also witnessed the progress of construction in the fencing venue and got satisfying information about the renovation of the football stadium in Salerno. Finally, they were very happy to see the basketball venue in Avellino, which is home to the local club in the first division. The head of delegations’ trip concluded on 4 April with a question and answer session with the Organising Committee, which was then followed by the draw ceremony for the ten team sports on the Summer Universiade programme.